Leisure centres, sports premises and play areas are increasingly upgrading to LED lighting to reduce their energy consumption and improve current lighting levels. Guaranteed energy savings and superior light quality have led building operators to recognise the huge benefits LED lighting can achieve. Energy efficient, bright, uniform illumination is essential to enhance both participant and spectator experience. Optimum visibility, flicker and glare-free lights are typically considered more important in these environments than in many other sectors. LED Eco Lights, is a UK LED manufacturer and designer of the award-winning Goodlight range of energy efficient LED lamps and luminaires that have been installed in various leisure and sporting environments worldwide including Malta Basketball Association and High Wycombe Sports Centre. Goodlight LED lamps and luminaires come in three colour temperatures, daylight, natural and warm, that deliver consistent colour temperature and make it possible to alter the mood in leisure environments to fit the activity and create the right atmosphere. A fast game of squash for example calls for a totally different ambience compared to a yoga class. Equally the dimming capabilities of LED lighting ensure that the correct amount of light is used for each individual activity and the Goodlight LED technology provides very directional light that can be focused where needed. Customers are delighted with energy savings of up to 85%, a significant reduction in maintenance costs and full payback that can be achieved from as little as three months. Additional savings can also be made from the reduction in the load on air conditioning systems as LED lamps generate a fraction of the heat produced by traditional lighting systems. This is very beneficial to leisure and sporting environments where air conditioning can be in use for up to 24 hours a day. 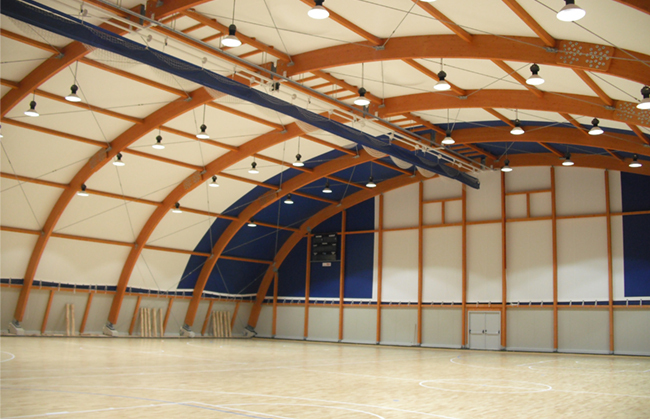 Traditional inefficient fluorescent lighting in sports and leisure facilities can be very difficult to maintain. 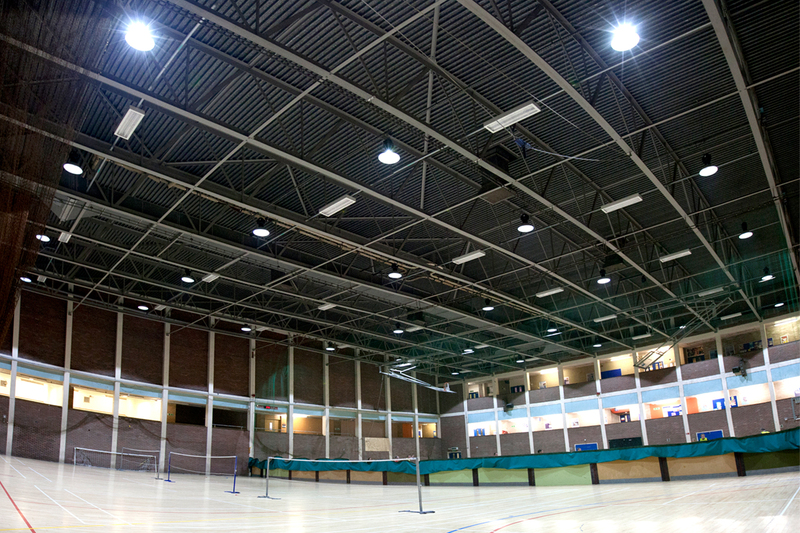 Large sports halls for example have very high ceilings and accessing the light fixtures, to replace a lamp involves the use of expensive specialised equipment. Additionally, areas would need to be closed down and the playing surfaces protected whilst the maintenance is carried out. By converting to LED lighting however, not only is there an immediate reduction in energy costs but the benefit of maintenance free lighting as well. 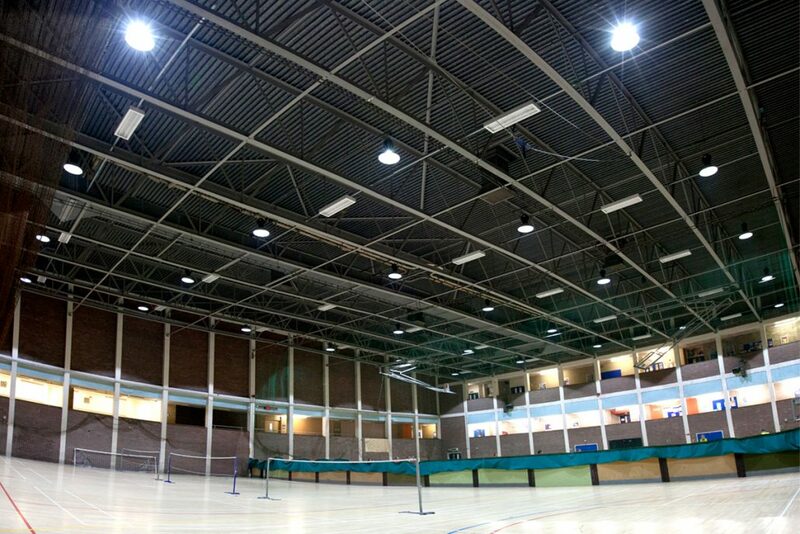 To maximise energy savings, owners can install an intelligent lighting control system which will add substantial benefits to any leisure or sporting facility. Optimal energy savings can be achieved through occupancy and daylight detection and presence detectors will ensure that any area is only lit when it is in use. Equally, a lighting control system can also dim lights when there is plenty of daylight. Goodlight has recently launched a new LED lighting solution, Light Boss™, a wireless, SMART and fully automated LED lighting control system, where luminaires communicate wirelessly, controlled by an Android app or web interface. Light Boss™ additionally reports on energy consumption, monitors LED and emergency lighting and connects to other building services wirelessly. Businesses are able to fund lighting replacement programmes from their operating budgets by taking advantage of Goodlight’s Bright Plan LED leasing scheme. This allows the replacement lights to be paid for directly by the energy savings and the customer will own the lights outright at the end of the lease. Goodlight offers businesses a free site survey which will provide a detailed breakdown of suitable replacement light fittings, the installed cost and the return on investment from savings on energy and maintenance costs. They also guarantee all Goodlight LED lighting for five years, making installation risk-free.